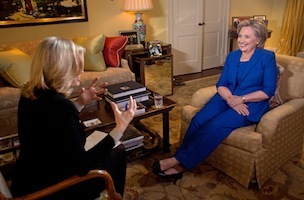 Ratings are in for last night’s ABC News special “Hillary Clinton – Public and Private One on One with Diane Sawyer” and the network led CBS and NBC in viewers for the hour, not too surprisingly though as CBS aired back to back episodes of “Mike and Molly” while NBC aired “American Ninja Warrior.” The previous hour’s “Bachelorette: The Journey So Far” special on ABC garnered 4.0 million viewers and the 9 – 10 pm special with Clinton grew by 53% to 6.1 million viewers overall. It’s second half hour also grew – by 12% – from 5.7 million viewers in its first half to 6.4 million in the second. Last month’s NBC News interview of former NSA contractor Edward Snowden by Brian Williams averaged 5.948 million total viewers and was ranked #1 among the broadcast networks during the 10 – 11 pm hour it aired in all 18-49 demo ratings (tied with CBS in W18-49) and M/A25-54. 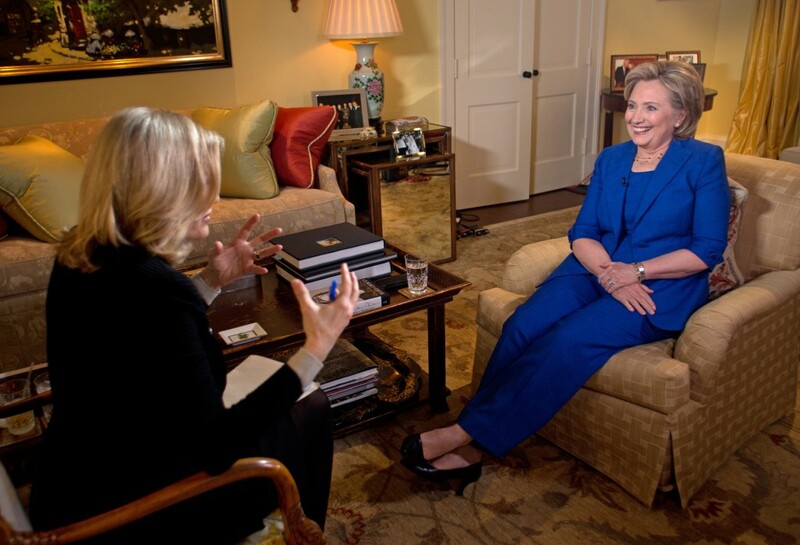 Sawyer’s sit down with Clinton placed forth in the same demo at 1.0 million in its respective time slot. On top in ratings last night was FOX, which aired “24” and averaged 6.333 million viewers in the 9 – 10 pm hour. The headline in the original version of this post compared Clinton’s sit down with Sawyer to that of last week’s Williams exclusive with Snowden. The programs aired on different nights (Monday and Wednesday, respectively) and in back to back time slots (9 – 10 pm and 10 – 11 pm, respectively).